The vast and rugged state of Idaho, in the north-western United States, could claim to be one of the country's last great wildernesses. Often overlooked by people heading to Montana to the east or Washington State to the west, it still retains a frontier spirit. With huge areas of pristine wilderness, jagged mountains - it is bordered by the Rocky Mountains to the east - hundreds of lakes and miles of rivers, this is the state to have on your bucket list if you are a lover of the wild outdoors. Hiking, climbing, skiing, fishing, white-water rafting... you name it, the state has it. Some of the best places to stay in Idaho have this magnificent outdoor playground on the doorstep. Amongst spectacular scenery is the Sawtooth National Recreation Area with over 40 peaks - part of the Rocky Mountains - above 10,000 feet and more than 300 alpine lakes as well as hundreds of miles of hiking trails. If you prefer to take it leisurely, follow the Sawtooth Scenic Byway, a 60-mile drive following the Salmon River. The river itself is famed for fly-fishing and white-water rafting. The evocatively named Hells Canyon National Recreation Area is another great 'adventure' playground. 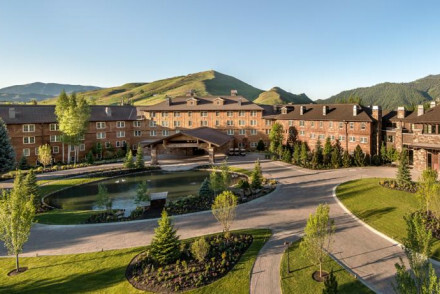 Possibly Idaho's most famous year-round playground is Sun Valley, the country's first ski resort with the opulent Sun Valley Lodge as the place to stay. The area still attracts the rich and famous. Apart from winter skiing and snowboarding, it's good for summer hiking and mountain-biking. Nearby Ketchum, at the foot of Mt Baldy the state's biggest ski mountain, was originally a mining town and still has a frontier feel and authenticity. It was a favourite haunt of the writer Ernest Hemingway who died here, you can tour his favourite drinking dens. Idaho's other landscape attractions include the natural hot waters of Lava Hot Springs, the stunning waterfalls of Snake River Canyon, sand dunes at St Anthony and the weird volcanic outcrops at the Craters of the Moon National Monument. It's not all the big outdoors. Idaho's state capital Boise has gentle riverside walks, the State historical museum, a contemporary art museum and a thriving Spanish Basque quarter. 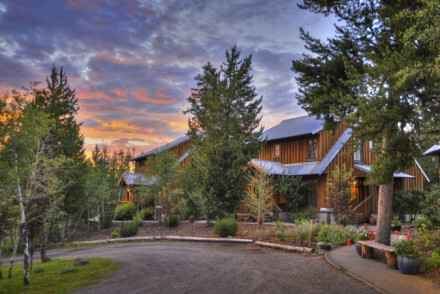 So, decide what you’d like to do and then check out list of the best places to stay in Idaho. Opened as a ski resort in 1938, Sun Valley Lodge has been rebuilt with spacious comfortable rooms and suites. It boasts more outdoor recreational activities than any other destination resort in the U.S. Ski, hike, bike off road or on paved trails, choose 9 or 18 holes of golf, tone up in the gym and outdoor pool or luxuriate in the spa and wellness centre. High in the mountains, set on the crystal waters of Lake Payette, Shore Lodge has its own marina and beach. Water sports rule in summer. Choose canoe, kayak, paddleboard, sailboat or motor cruiser to explore the lake. In winter it is snowshoes, skis, snowboards or snowmobiles that are the order of the day. There's golf and hiking and a spa for respite from all the activity. 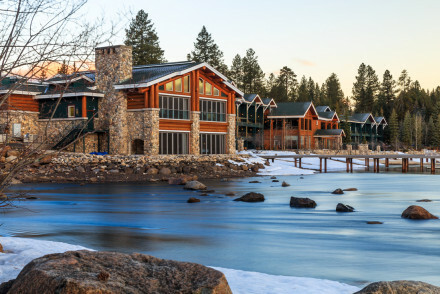 Set on a fast flowing mountain river, Henry's Fork Lodge is surely a flyfisher's dream. Expert guides will hone newbies' skills. Comfortable rustic rooms and meals prepared with fresh local ingredients welcome guests after a day's expedition. Non-fishing partner? Yellowstone National Park is less than an hour's drive away. There's kayaking, walking and cycling in the stunning scenery. 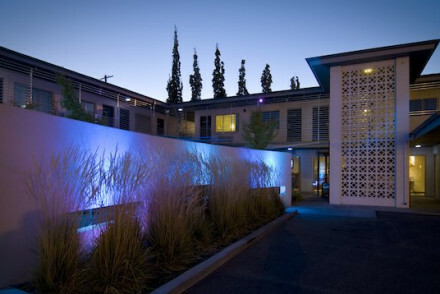 The Modern is a chic converted motel located in the up-and-coming Linen District. Smart retro styled rooms feature luxury bathrooms, plush bed heads, pop colours and clean design. Sip on a martini at the stylish bar and feast on contemporary European fare in the restaurant. A fabulous city base. If you'd prefer a self-catering option this holiday - don't hesitate to visit our online partner Booking.com for a diverse range of properties ideal for making the most of all the outdoor activities on offer. Fly to Boise Airport located 6.4km (4 miles) from Boise - Idaho's state capital. The airport caters to numerous non-stop destinations across the U.S.
Only one city in Idaho caters to rail links - Sandpoint is on an Amtrak rail route with links to Chicago. Best time to visit - to make the most of the great outdoors, visit in the summer from June to August. Expand your search to include our recommendations in Washington or Wyoming. A chic converted motel located in the up-and-coming Linen District. Smart retro styled rooms feature luxury bathrooms, plush bed heads, pop colours and clean design. Sip on a martini at the stylish bar and feast on contemporary European fare in the restaurant. A fabulous city base. Back to Nature - Easy access to a number of national parks. City Style - Housing one of the most chic bars in town. Sprawling retreat in Idaho's Sun Valley with year-round recreational activities. Rooms and cottages are spacious and warm, with earth tones, wool carpets and walk-in showers, making your stay supremely comfortable. With added Spa, gym and pool. Dine on a huge range of American and European cuisines. Modern take on a traditional lodge. Rugs with tree motifs, a natural color palette of browns and nudes, stone walls and exposed woods, and large windows make the lake and forest focus of every room. A range of snow sports on offer with a spa, pool and hot tub to relax afterwards. Restaurant & grill. Great walks - With names like Goose Creek Falls and Hum Lake, what’s not to like about the area’s many hiking trails? Views - Spectacular views onto Payette Lake and the mountains beyond. Private Hot Tub - The Lake Cottage comes with a private lakeside jacuzzi. Understated sophistication, high-quality service and rustic interiors come together in Idaho's prime fly fishing destination. Delicious home-cooked meals are prepared daily, and there is a library stocked with fishing books to make you feel at home. All modern amenities are provided in the rooms. Back to Nature - Stunning twilights, days spent on the tranquil river, wood furnishings and a forest on your doorstep.